UFO for February is just about done, so I am on to the next project that I brought up to Mammoth Lakes. 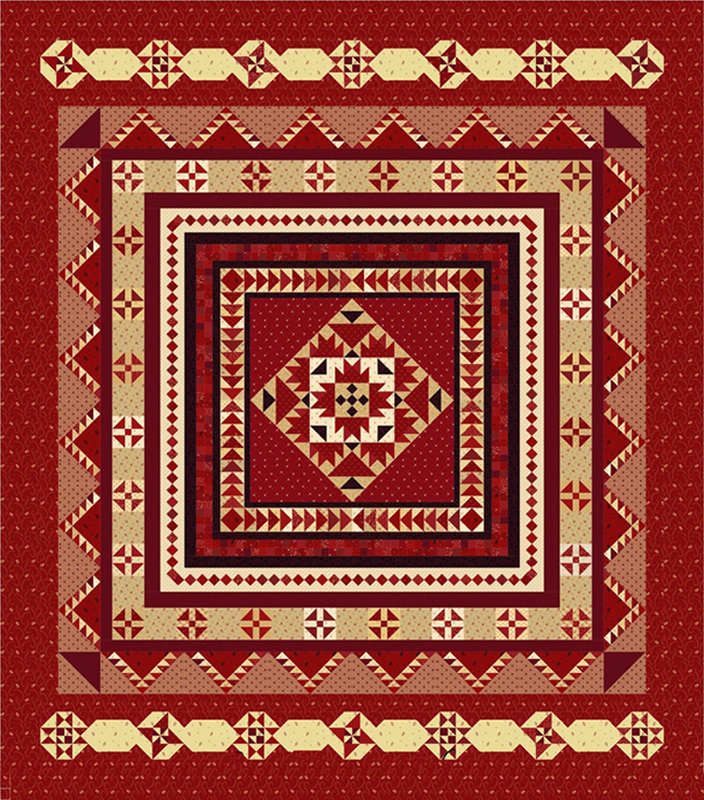 I will be working on Prairie Gathering, a Pam Buda pattern that I started last year, and is one of my UFO's for this year. I really like Pam Buda's Patterns. 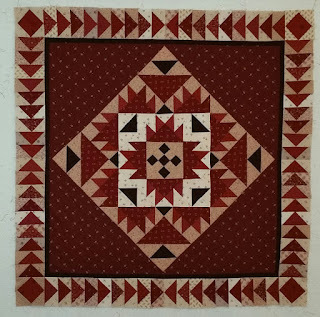 You can check out her website here at Heartspun Quilts. My next round up is the checkerboard round. Below is the finished quilt. Still have a number of rounds to go on this one. 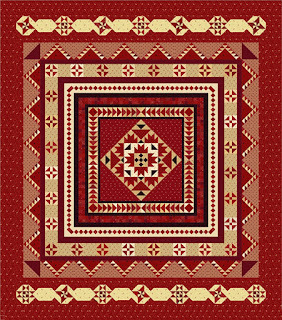 Check out more projects at Patchwork Times. That is going to be a beautiful quilt! I love your colors!